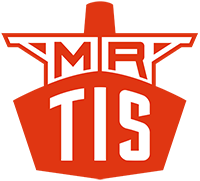 THIS AGREEMENT (“Agreement”) is made between MRTIS (“Company”) and End User (including their respective directors, officers, employees, shareholders, insurers and agents) (collectively, “User”) who utilizes copies or downloads software, data, services, information or related systems licensed by Company and accompanying this Agreement (“Software”). License Grant: Company grants User a non-exclusive, non-transferable limited license to use the Software on the Company distributed medium for the length of the term agreement. “Software” includes all software upgrades, data and associated materials provided by Company to User in connection with the Software. Ownership; Restrictions: The source code, design, and structure of the Software contain confidential and trade secrets, which Company has entrusted to User in confidence to use only as expressly permitted. User will not sell, disassemble, decompile, or reverse engineer it, in whole or in part, except to the extent expressly permitted by law, or distribute it. Unauthorized access, or the causing of access to another person (including without limitation providing a MRTIS username or password to another person), to information or services provided by Company is strictly prohibited. Tampering with or conducting fraudulent activity in connection with this Software is strictly prohibited. User will not use the Software for illegal and/or unintended purposes. User acknowledges that Company claims and reserves all rights and benefits afforded under federal law in the programs, data-base information, and User materials included in the Licensed Programs as copyrighted works. U.S. Government Restricted Rights; Export Requirements: The Software and documentation have been developed entirely at private expense and are provided as “Commercial Computer Software,” any use of which by or on behalf of the U.S. Government is subject to further restrictions. User may not export or re-export the Software. Limited Warranty: Any express warranty or representation set forth by Company shall not apply to losses or damages caused by (1) actions of non-company personnel including acts of abuse, misuse, or negligence of non-company personnel; (2) failure to follow Company’s or manufacturer’s installation, operation or maintenance instructions; (3) modifications made to the equipment or failure of products not provided by Company; or (4) force majeure conditions. Disclaimer of Warranties: Except as expressly set forth in this agreement, Company, its subsidiaries, subcontractors, suppliers and agents make no representations, warranties or conditions, express or implied, statutory or otherwise arising in law or from a course of dealing or usage of trade, regarding the system or components or any updates to be provided hereunder and specifically disclaims any and all implied warranties or conditions of merchantability, quality, fitness for a particular purpose or non-infringement. Company does not warrant that the system will be available at all times, that the system will be accurate, or that the system will not malfunction. Exclusion of Certain Damages: In no event whatsoever shall Company be liable for consequential, incidental, indirect, or special damages, including but not limited to, lost profits, lost revenue, lost data, loss of use, failure to realize expected savings, or other commercial or economic loss of any kind or for any claim against Company arising out of or in connection with the delivery, use, performance, or licensing of the system or any component thereof including, but not limited to, the licensed programs, the licensed data bases and web content, the support services and the wireless access or services performed pursuant to this agreement or any breach of this agreement, even if Company has been advised of the possibility of such damages, specifically, Company shall not be liable for any damages to any person or property arising directly or indirectly out of the use of or the failure of the system or its components nor the collision/allision of any ship or vessel with any other ship or vessel or with any other person or object or the running aground of any ship or vessel, nor shall Company or its suppliers be responsible or liable with respect to any: (A) error or interruption of use or for loss or inaccuracy or corruption of data or cost of procurement of substitute goods, services or loss of business; (B) any matter beyond its reasonable control, including, but not limited to, failure of electronic or mechanical equipment or communication lines; telephone or other interconnect problems; configuration problems or incompatibility of computer hardware or licensed software; problems with intermediate computer or communications networks or facilities or global positioning systems; problems with data transmission facilities or equipment or services; or unauthorized access, theft, operator errors, severe weather, earthquakes or labor disputes. Company is not responsible for any damage to the User’s or any third party’s computer, navigation equipment, vessel, modem, telephone, or other property resulting from User’s use of the licensed Software. User acknowledges that AIS information originates from a variety of vessels utilizing unique transceiver hardware, which may be faulty, antiquated, or improperly programmed by third party personnel unrelated to Company; therefore, the accuracy of said information cannot be guaranteed and is outside the control of Company. Company uses data and programmatic libraries and packages from a variety of third party sources, including but not limited to, the U. S. Army Corps of Engineers, NOAA, Google Earth, U.S. Coast Guard, OpenLayers, and other third party open-source libraries. User acknowledges that the information provided by Company, including without limitation vessel information and particulars, intercept / meeting / overtaking locations, future projection, estimated times of arrival, distance / speed / time calculations whether direct or indirect, weather data, river stage, channel location, depth data, rulers, measurements, or any other information including information presented on any maps, may be inaccurate, and that Company expressly rejects any warranty concerning the accuracy of the information contained therein. User acknowledges that such information is not to be solely relied on. Release and Indemnification: User acknowledges and agrees that the services and information provided by the Software is intended for use solely as an aid to assist maritime personnel with situational awareness and is not a substitute for standard navigational procedures and precautions, including without limitation proper bridge resource management, watch-standing and lookout, monitoring of depth sounder and other standard collision avoidance tools, monitoring of appropriate navigational radio channels, visual or radar observations by pilots, captains, officers and crew. The Software provided by Company is for general information purposes only. User assumes responsibility for all risks of bodily injury, death or damage to property arising out of or relating to the operation of any vessel under User’s control. User also agrees to indemnify, defend, and hold Company harmless from and against all loss, damage, liability, or expense (including attorneys’ fees and other costs of suit) arising out of or relating to the operation of any vessel under User’s control, including but not limited to any cause of action alleging tortious conduct, strict liability, violation of law or other cause. Limitation of Liability: In no event shall Company, its members, officers, employees, directors or agents be liable for any damages, direct or indirect, pecuniary or non-pecuniary, consequential or otherwise, to any person or property arising directly or indirectly out of the use of or the failure of the system or the components thereof. To the extent that the exclusion of all of the foregoing damages are limited by law, User agrees that in no event shall Company be liable to User for more than $50.00. User agrees that the foregoing limitation of liability is a material inducement to the willingness of Company to provide services and information to User, and that such services and information otherwise would be unavailable or would be provided at rates significantly higher than charged. Miscellaneous: Neither this Agreement nor any rights, licenses or obligations hereunder, may be assigned or transferred (by operation of law or otherwise) by User without Company’s prior written approval. To the extent User is a company or other legal entity, User agrees to inform and apprise each person with access to Software of the foregoing terms and conditions of use. This Agreement is the complete and exclusive statement of the mutual understanding of the parties and supersedes and cancels all previous written and oral agreements and communications. All waivers and modifications must be in writing and signed by both parties. This Agreement shall be governed by and construed under the laws of General Maritime Law and the United States without regard to conflicts of laws provisions. This Agreement will not be governed by the United Nations Convention on Contracts for the International Sale of Goods, the application of which is expressly excluded. If any part of this Agreement is found void and unenforceable, it will not affect the validity of other sections of the Agreement found herein, which shall remain valid and enforceable according to its terms.